M.Hanson & Company, Inc. | Stand UpStand Up | M.Hanson & Company, Inc. 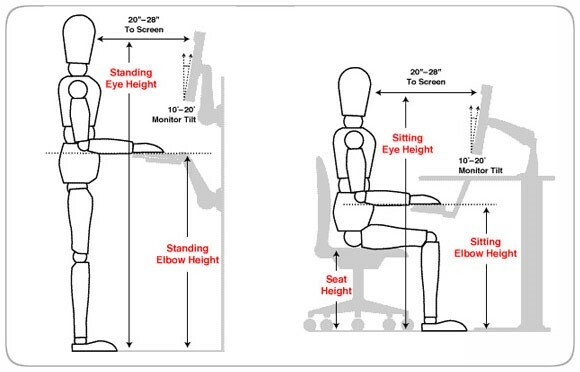 Here are some of the results of research on the effects of sitting too long at work. In 2010 a study published in British Journal of Sports Medicine found those who sit for long periods at risk for disease is higher than people who regularly make muscle movement. Researchers from the American Cancer Society found even people who exercise every day, will not find any benefit for his body if he spent most of his time behind a desk. Researchers at the University of Missouri states sitting for too long will break down fat absorbent circulation enzyme called lipase. Full-time employees of large companies in the United States or more spend on average two-thirds of their working hours in a sitting position, according to a new study conducted by Ipsos Public Affairs on behalf of Ergotron. On average, full-time employees of companies with 1,000 or more employees report spending an average of 21 hours per week seated at a desk, nearly three hours per week seated in meetings and four hours per week seated working at home – a total of 28 hours out of an average workweek of 42 hours, or close to 7 hours on a typical work day. The study also found that full-time workers at large companies spend an average of 25 working hours each week facing a computer or a mobile device, or about 6 hours on a typical work day. Though many employees work in a sedentary environment, three quarters (73%) say that they do not like spending so much time sitting at work.